The aluminum take-apart coaming is held in place above the coaming base plate during construction. 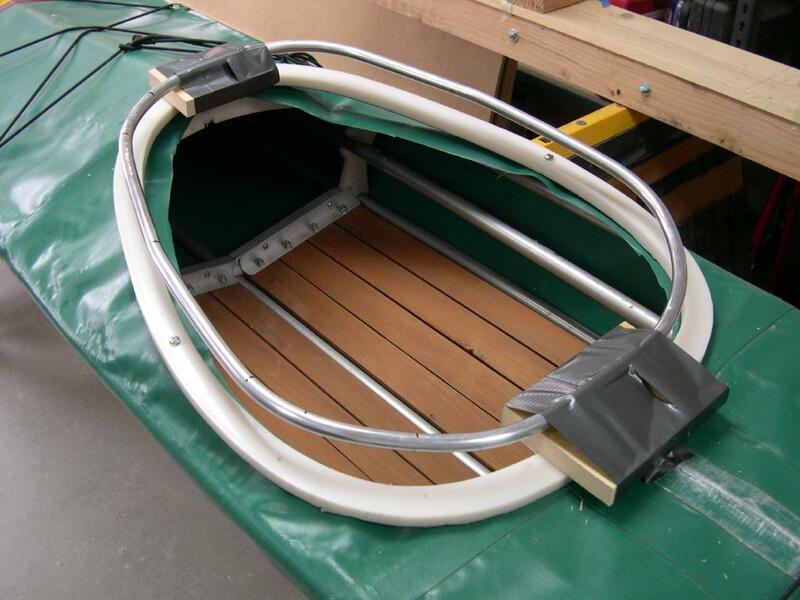 The original HDPE base plate has been repositioned on top of the skin and is used to provide a shape for the PVC to wrap around during construction. The baseplate and 1″ blocks will be removed as the new coaming nears completion.